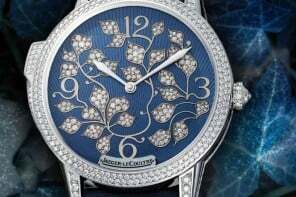 The Salon International De La Horlogerie (SIHH) is taking place on January 16 – 20 to showcase many top luxury watch brand’s upcoming timepieces for the new year. Along with BaselWorld, SIHH is one of the two most important annual events in haute horology. 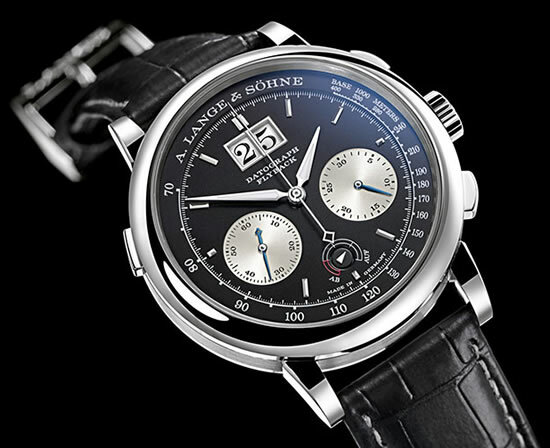 So here is a preview of 12 of the most anticipated luxury watches for SIHH 2012. 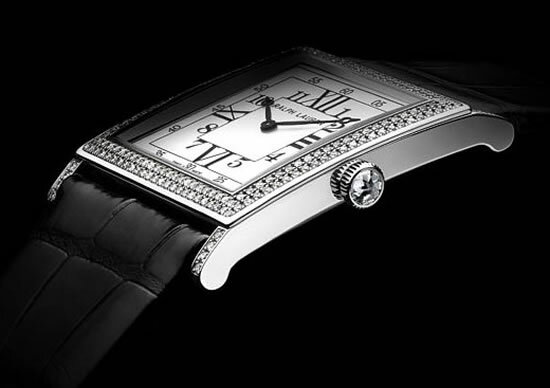 This bold looking timepiece is one of several new Cartier watches that will be hot in 2012. 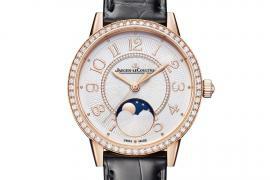 This one takes inspiration from an earlier Ladies Alligator Tourbillon, but with a new masculine size and form. This watch also continues the use of Roman numerals found in recent Cartier skeleton watches for a dramatic effect. In the center you’ll see a Cartier “C” worked into the design of their award-winning flying tourbillion. The Cartier Cadran Love Tourbillon comes carved out of a large 46.2mm white gold case and is limited to only 100 pieces. Launched as a name only in 2004, Robert Greubel and Stephen Forsey have already made a huge impression on the luxury watch industry with their double tourbillon and quadruple tourbillon watches. The Gruebel Forsey GMT is their first piece to feature complications other than their specialty tourbillions. 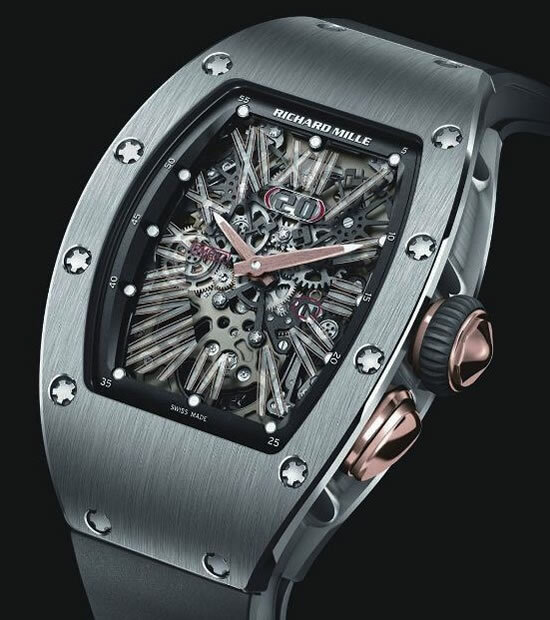 It includes a 2nd time zone display, 24 hour world time display, day-night indicator, power reserve indicator and their signature 24-second tourbillon. 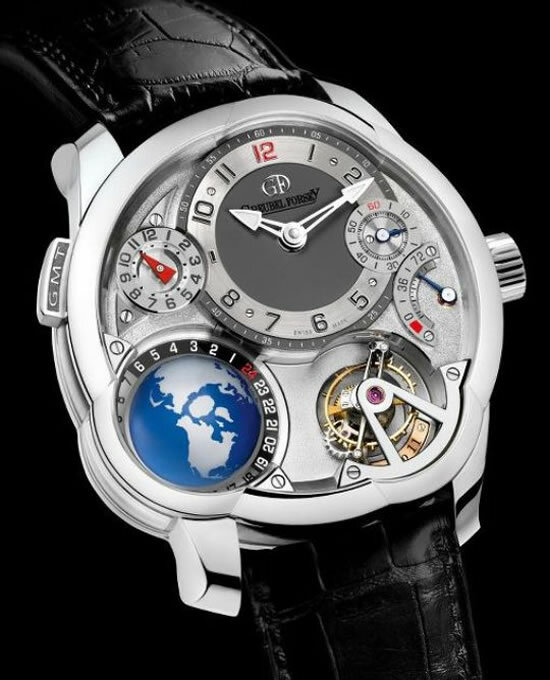 The most unique complication is the use of a rotating globe with the universal time display. All this is fitted in a 43.5mm white gold case. This is a gorgeous new edition of a popular Jaeger-LeColtre piece released in 2010. This one is a bit smaller with a 40.5mm diameter, but truly stands out with its satin-brushed pink gold details and case, contrasting against the textured matte-finished face. In the upper right you’ll see the minutes and hour sub-dial and in the top left moon-phase indicator for both hemispheres. The big center hand counts the seconds, with the bottom sub-dial counting 1/6th of a second. To keep this watch accurate for seconds and 1/6th of a second, it uses two separate power supplies. One is regulated by the escapement and the other is used to store energy for the complications. While this piece is guaranteed to be a hit in 2012, we will have to wait and see what new watches Jaeger-LeColtre surprises us with this year. To celebrate the 40th birthday of their iconic Royal Oak watch, Audemars Piguet is releasing a limited edition Royal Oak to celebrate. This look is a throwback to their original 1972 Royal Oak, but with modern advancements. This piece features a open-worked face, showcasing their movement in a extra-thin 39mm platinum case. 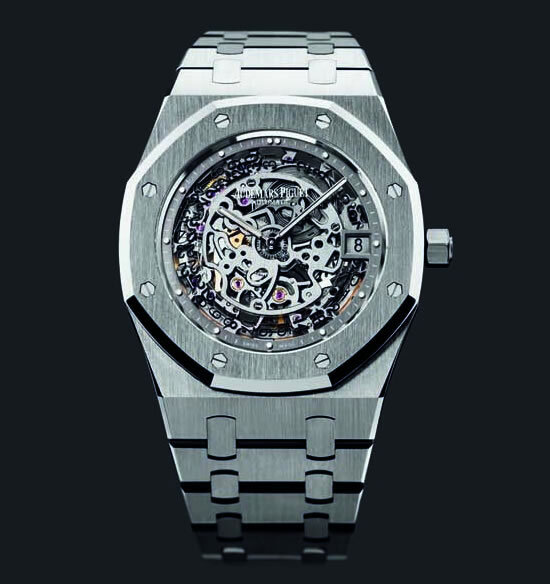 And with only 40 pieces total, this 40th anniversary Royal Oak will be one of the most coveted new watches for 2012. 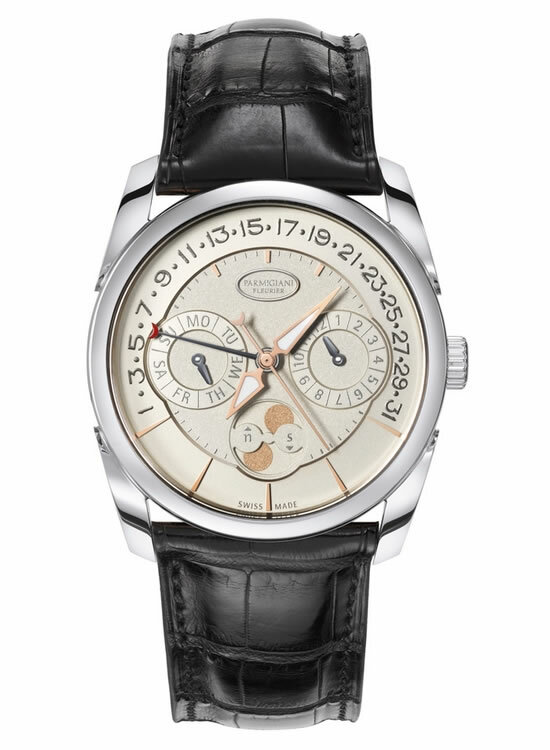 This upcoming watch features a brand new movement by Parmigiani Fleurier. It’s their first with an annual calendar with a retrograde display, which they show-off with an interesting arrangement on its face. The new annual calendar and retrograde display allows it to count each month accurate to 30 or 31, using the red-tipped center hand. The left sub-dial shows the day of the week and the right sub-dial shows the month. The bottom sub-dial shows the moon phase for both hemispheres. This alluring new Cartier watch is a sure favorite with the ladies this year. 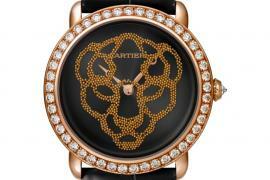 It features a 3D jeweled panther that walked around the black mother-of-pearl dial. 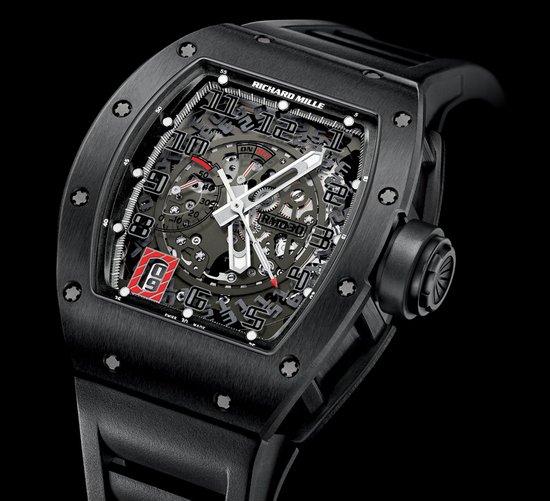 The panther’s movement is powered by an inverted oscillating weight that rotates the inner diamond ring. 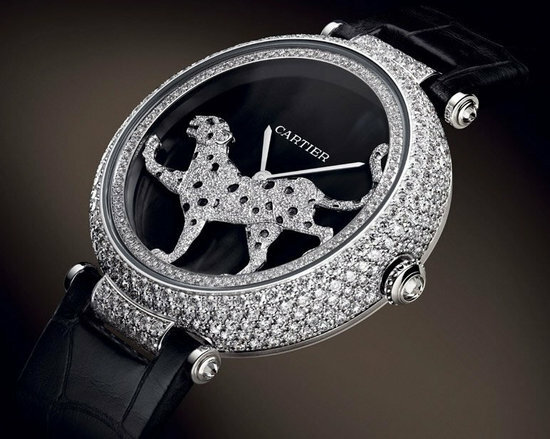 The panther and case are both made of white gold, set with a total of 633 diamonds. One aspect to note is the large case for a ladies watch with a 42mm diameter. 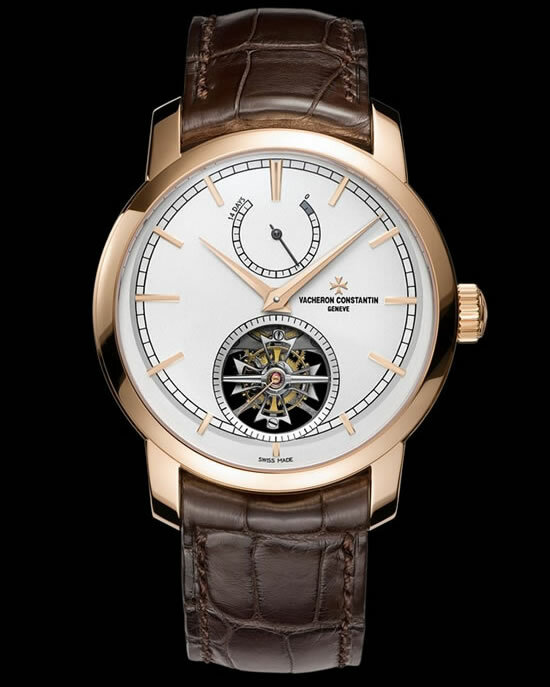 This handsome new watch from Vacheron Constantin called the Patrimony Traditionnelle 14-day Tourbillon, has earned am achievement for the long-lived Swiss brand: It is their first timepiece to officially meet the new Hallmark of Geneva criteria. The new fully in-house made tourbillon movement holds an impressive 14-day power reserve, thanks to fitting four winding barrels. The pink gold case is a big 42mm with a thin bezel. Pink gold Dauphine hands and hour markers highlight their traditional opaline silver-toned dial. Also known as the Datograph Up/Down watch, this is an update to their famous Datograph first released at the start of the 2000s, which is no longer produced. The name “Datograph” comes from their use of a big aperture to display the date. The “Up/Down” comes from the addition of a power reserve indicator, which adds an extra 24 hours to their original design to a total of 60. The case has also been increased from 39mm to 41mm. This new edition has a platinum case, rhodium gold hands and a blackened solid silver dial. This classy looking art deco piece by Ralph Lauren is a more luxurious take on their Slim Classique watch. 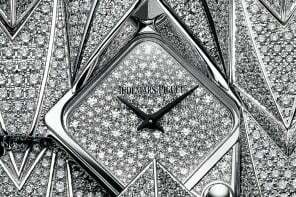 They have lined the square case with diamonds around a traditional sliver opaline dial and alternating Roman and Arabic numerals. This small black alligator strapped dress watch measures in at 27.5mm by 27.5mm and 5.75 thick is sure to attract many female buyers, but can also be worn by a man. This surprise addition to IWC’s pilot watch collection is actually part of a new collection dedicated to the hit Tom Cruise movie “Top Gun”, starting with the Top Gun Miramar. 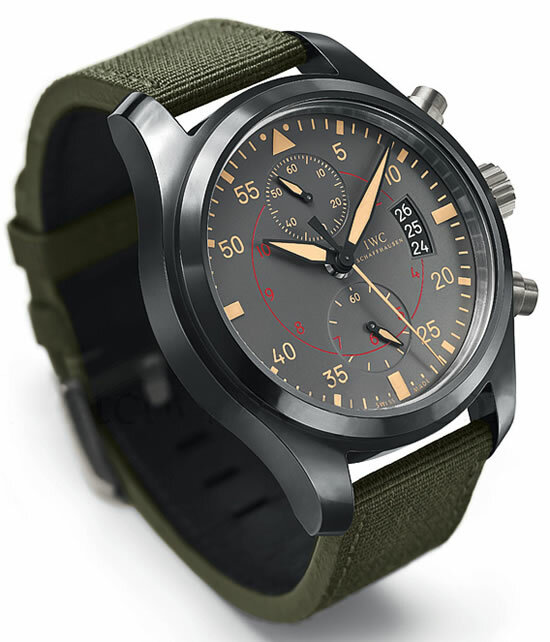 This new military looking chronograph features a new movement with a 168 hour power reserve in its huge 48mm case. The matte look is achieved with grey ceramic used for the case and anthracite used for the dial. In the Top Gun world of jet fighters, hours take a back seat in the smaller red dial, with every minute and second counted in the big yellow dial. It’s then strapped to your wrist in a green fabric strap, which tops off the Navy styling. A strong introduction to a new collection of pilots watches, we’ll just have to wait until the rest are revealed. 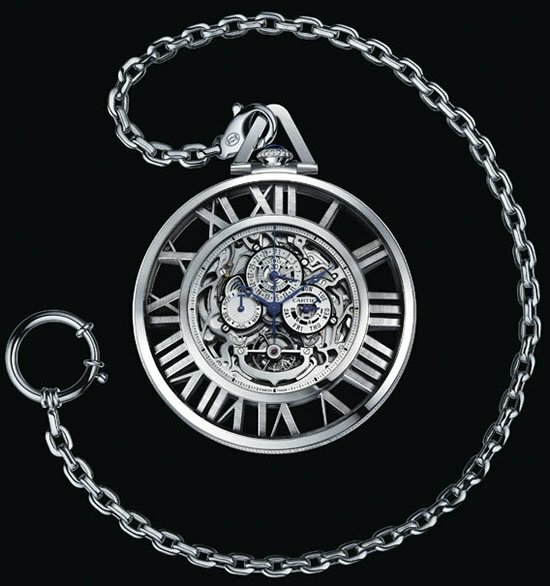 This mysterious looking pocket watch is the latest grand complication from Cartier. This new Cartier Skeleton pocket watch takes inspiration from their classic pocket watches from the 1930s and combines it with their contemporary skeletal styling. The white gold case has been meticulously hand-bevelled to form Roman numerals between the bezel and complications. 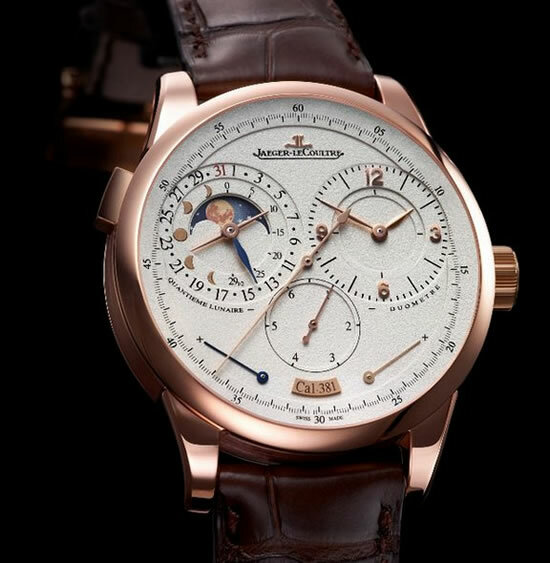 The complications consist of a perpetual calendar, monopusher chronograph and tourbillon. It comes with the matching white gold chain seen here and also a rock crystal and obsidian stand. 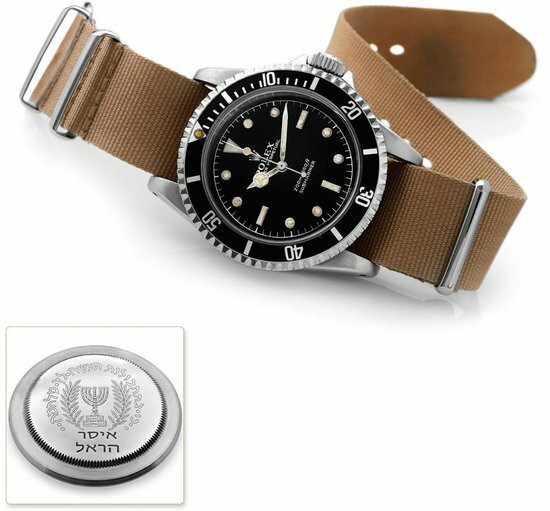 Hope you enjoyed the most highly anticipated watches for 2012 so far. 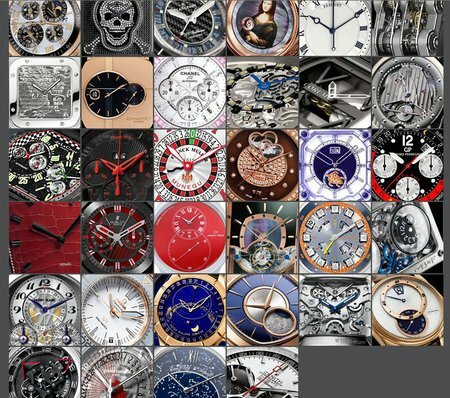 Make sure to check back after the SIHH later this month to see what surprises these luxury watch makers are saving for us!